« The Public Domain Review is launched! For the last two weeks I’ve been working hard with some people at the Open Knowledge Foundation to make a new visual tool to make it easier to understand European energy. 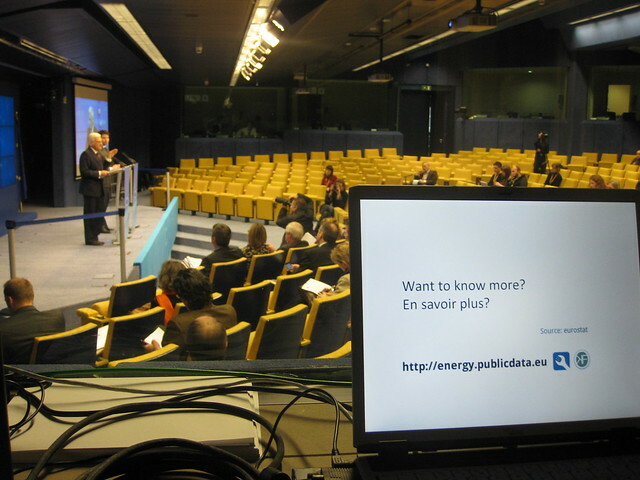 It was launched today to coincide with a big meeting on energy at the European Council in Brussels. You can find it here. Joe Public’s understanding of energy production, energy consumption and the energy mix across Europe may be patchy and anecdotal at best. We all know that Sweden produces more renewable energy than the UK, but how does Latvia compare to Poland? How much of Greece’s energy is from hydro or solar power? 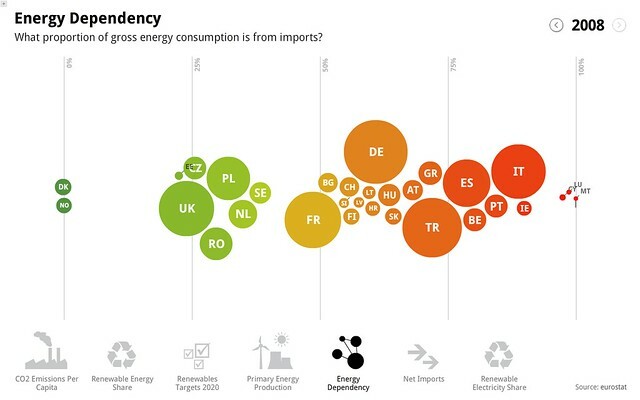 How much does Finland depend on imported energy? 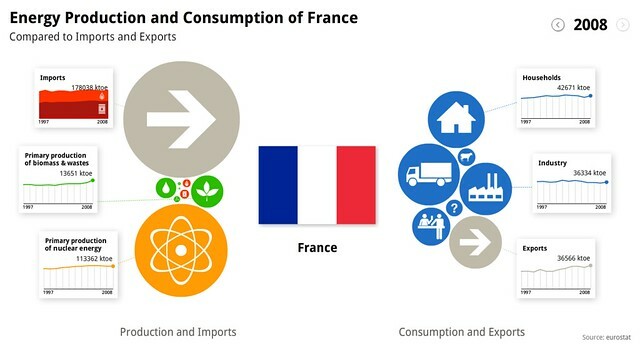 How much of Belgium’s energy is used in transport or agriculture? How has energy production changed in Romania in the last ten years? Who’s winning the renewables race? Who’s hitting their targets and who has furthest to go? While one can dig around in reports to extract figures or charts, or skim tables to spot patterns, it is nevertheless hard for the non-expert to get a sense of the overall shape of Europe’s energy. However, possessing this kind of picture is critical in order to have an informed debate or to be able to evaluate what kinds of options are viable. There will never be any substitute for immersion in an area to get to know its intricacies – but for the uninitiated there is no shame in using a map (or a GPS!) to get to know the lay of the land! 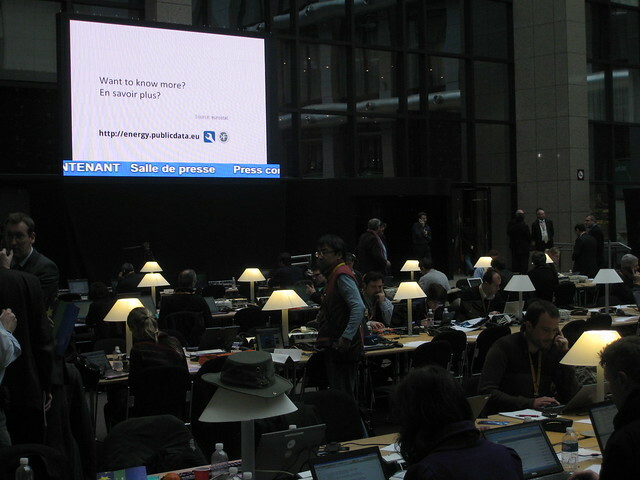 Hence a couple of weeks ago a small team here at the Open Knowledge Foundation decided to have a crack at making something that would use open data from different sources to make European energy easier to understand for those who don’t know much about it, in time for the European Council meeting today. The launch was also picked up by the Zeit Online, who interviewed me about it, and concluded: “Mehr davon bitte“. More is on its way. This entry was posted in data, energy, environment, europe, ideas, open data, openknowledge, policy, projects. Bookmark the permalink. Comments are closed, but you can leave a trackback: Trackback URL.